Some devices store passwords in secure 'keychains' so when you go to a site and need to enter a password your device can autocomplete it for you. This can become problematic when a password has been reset but the device has not updated its keychain. When you press 'Submit' on a form your device will try to submit your old password. To fix this issue, you need to clear your keychain. Each browser type has a different way of doing this. Find your browser below for instructions on clearing the password cache. 1. 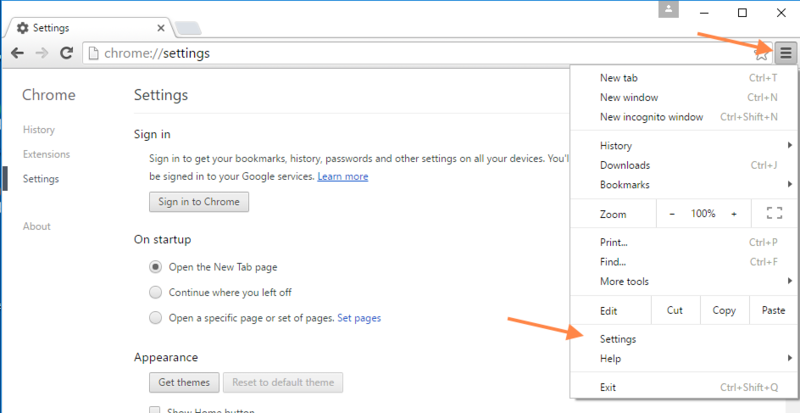 Open Google Chrome and navigate to the Preferences page. *Note for Windows users the menu button is found on the right hand side of the toolbox menu. 2. At the bottom of the Preferences page click Show advanced settings. 3. Scroll down to Passwords and forms and select Manage passwords. 4. Hover over the site whose password you’d like to remove and click the X that appears. 1. 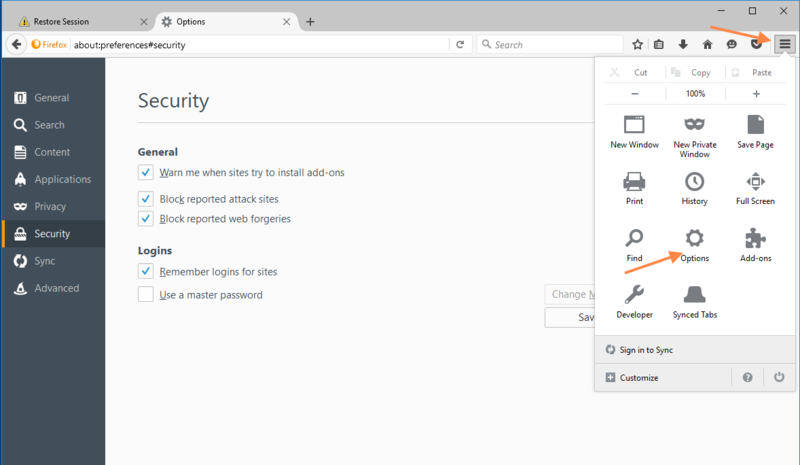 Open Firefox and navigate to the Preferences page. * Note for Windows users the menu button is found on the right hand side of the toolbox menu. Click Options instead of Preferences. 2. 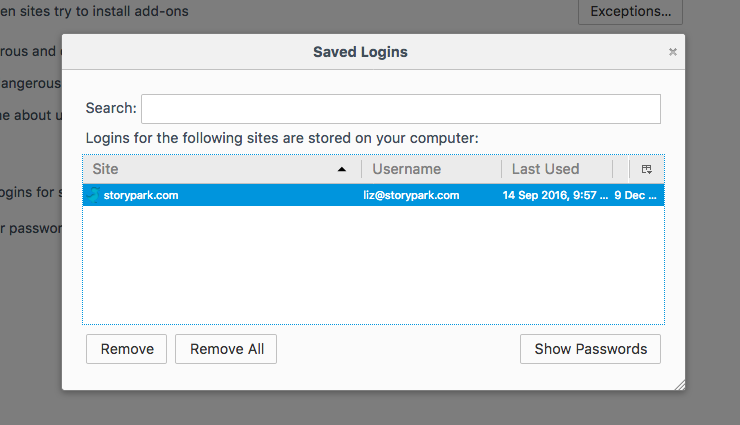 Go to the Security tab and then click on Saved Logins. 3. You can select individual saved logins and then click Remove, or you can remove all saved logins by clicking Remove all. 1. Open Safari and navigate to the Preferences page. 2. Switch to the Passwords tab, select the site whose passwords you wish to remove then clickRemove. 1. Open Internet Explorer and navigate to the Settings page. 2. Click on View advanced settings and navigate to Manage my saved passwords. 3. Click the X on any saved password to remove them.